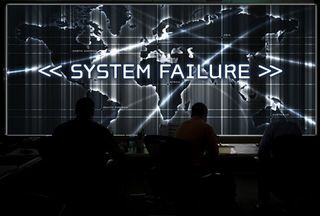 > Tech News > Japan under Heavy Cyber Attack ! Japan under Heavy Cyber Attack ! In last two days several Cyber attacks breach corporate and National Security of Japan. First, Japanese parliament hit by cyber attack from China according to Report. A server located in China was used for the attack on the Japanese Lower House. This led to an extraordinary meeting of a key subcommittee after it emerged that hackers had access to emails and documents belonging to the chamber's 480 legislators for at least one month. The personal computers and servers of Japanese lower house lawmakers have been hit by a cyber attack, and passwords and user IDs may have been stolen. Next, Information on military aircraft and nuclear power plants may have been stolen in a series of cyberattacks on Japanese defence contractor Mitsubishi Heavy. Mitsubishi Heavy said late last month that 83 computers at 11 of its facilities had been hit by cyberattacks but no leakage of information on products and technologies had been confirmed. Christophe Bianco, European general manager at vulnerability management firm Qualys, warned that the revelations raise serious security questions that should concern all organisations. "If this information has indeed been lost it shows that, even for companies acting in sensitive markets where the level of security is normally at the top level, it is difficult for them to protect themselves," he said. "This gives perspective on the challenge currently faced by other private sector organisations that interact with the general public."